Missy Ward is an affiliate marketing Swiss Army knife, work at home mom, die-hard AC/DC fan and active fundraiser for charities that support breast cancer research, treatment and community programs. 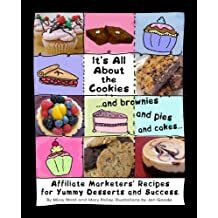 After spending over a dozen years in Marketing Departments of various companies and managing her own affiliate sites, Missy Ward founded Affiliate Summit Corporation in 2003 with her business partner, Shawn Collins on a $400 investment. Today, Affiliate Summit is now a privately-held, multi-million dollar media company that produces Conferences & Tradeshows, FeedFront Magazine, GeekCast.fm and AffStat.com. Missy is also the Co-Publisher of Revenews.com, Co-Founder of itsaWAHMthing.com, Founder of AffiliateMarketersGiveBack.com and runs a number of her own niche affiliate websites. Her most recent site launch is SpecialNeedsGifts.com, a site that teaches people how to buy skill building toys and gifts for children with special needs. Half of the net proceeds are donated to the North Pocono Parents of Down Syndrome and Friends. 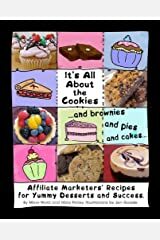 She is a contributor and editor of "Internet Marketing from the Real Experts" and is the author of "It's All About the Cookies", a business book cleverly disguised as a cookbook. 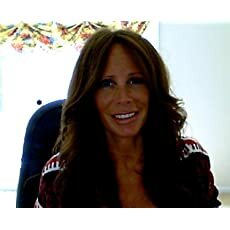 In addition, Missy sits on the Board of Directors of the Performance Marketing Association [ThePMA.org] and is the Marketing Committee Chair. Missy hates cold weather, flavored coffee and meat. She loves wine. Lots and lots of wine. 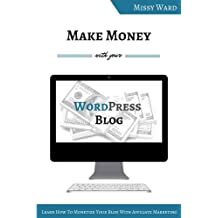 Check out her affiliate marketing blog at MissyWard.com. Throughout #ASAPAC18 we have a range of social networking opportunities for all our attendees. See below what you can get involved in throughout the 3 days of Affiliate Summit APAC 2018. We are excited to announce the revamped Pinnacle Awards – now a glittering black tie ceremony in Las Vegas on Saturday, January 5th 2019. Nominations will open mid October. Check out the categories below and get prepping on those applications! Registration is open for Affiliate Summit West 2019, which is taking place January 6-8, 2019, at the Paris Las Vegas Hotel. Get your passes now for the lowest prices – starting at just $104. Early bird registration is open through September 28, 2018. Did you see that the VIP pass is only $524 during early bird, and it includes access to all of the sessions, meals, and many other benefits? Affiliates can apply for a free Affiliate pass by December 11, 2018, too. Based on feedback from our attendees, we’re delighted to introduce several new features at Affiliate Summit West 2019 including Tech Talks, the Affiliate Summit Marketplace, and many more. Two weeks remain to register for Affiliate Summit APAC 2018 in Singapore. And we’ve created lots of ways for you to meet them as well as all the stakeholders from the affiliate industry in APAC! The early bird rates for booths and tables at Affiliate Summit West 2019 (January 6–8, 2019 at the Paris Las Vegas Hotel) are ending on September 29, 2018. Don’t miss out on the remaining spots at the lowest price. Book a table or booth now to reach thousands of affiliate marketers in Las Vegas over January 6–8, 2019. Meet Market tables start at $3,495, and booths start at $5,800. On October 2nd, 10am – 12pm our C-Suite Keynote Panel will be discussing the potential of performance in the APAC region. An interactive, thought provoking session not to be missed as our speakers debate, discuss and demonstrate their ideas on the ‘Potential Of The APAC Region’, followed by a Q&A. We opened registration for Affiliate Summit West 2019 Meet Market tables and booths recently, and more than half of the tables are already booked. The conference is taking place January 6-8, 2019 at the Paris Las Vegas Hotel. Details and pricing are available at the Affiliate Summit West 2019 exhibitors page. As #ASAPAC18 approaches us, Affiliate Summit would like to invite ALL attendees to our official Networking Party sponsored by Webgains. The post Thank You To Our Affiliate Summit APAC 2018 Top Sponsors appeared first on Affiliate Summit. The post Which Pass Should You Choose for Affiliate Summit East 2018? appeared first on Affiliate Summit. If you're unfamiliar with the concept of a Mastermind group, the premise is simple: a group of motivated people get together, share their accomplishments since the last meeting, set goals for completing new ones, and brainstorm with other members to address challenges. 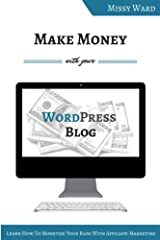 Whether you're blogging as a profession or blogging to promote your business, there's a lot of advice out there about how to blog. I've been blogging for over a decade, and there are a lot of common mistakes I see beginner bloggers make. Below, I'll list a few of them out, and give you some advice on how to avoid or fix them. In my recent post about things successful work at home moms know and do I mentioned that it's important to take care of yourself physically. I ended up getting involved with Yoga as an exercise avenue by accident. Ever find yourself looking around at other successful mom entrepreneurs and wonder, “how do they manage to get it all done?” Luckily, it's not rocket science, and it comes from basic principles anyone can employ and master. 1. Don't think small You have a business, not a hobby. You need to both think in that vein and act in it. If you plan to make a full-time income vs. “a little extra money,” you're more likely to do the things required to make that happen. You have less than eight seconds to grab and keep your potential customer's attention. Even goldfish have longer attention spans than the average, modern-day consumer. 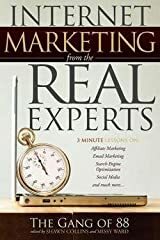 This means as a modern-day DIY entrepreneur you need to be anything but average — and seven seconds ahead of other merchants. Marketing your business services or product is a full-time job. The more you do, the greater the opportunity to reach potential customers and clients. And thanks to current technology, you don’t have to stop marketing just because you're out of the office, in transit or on a business trip. I wish I could tell you that every single affiliate link you put in your product reviews is going to bring you thousands of dollars, but I can’t. I’d be lying to you if I guaranteed that every one of your affiliate links will earn you a measly $5.00. 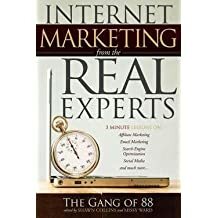 Even if you follow every single bit of advice, from every affiliate marketing superstar out there, chances are you will still have some flops. I’ve got entire affiliate sites that turned into fails, trust me on this. Podcasting is having a tremendous year. Pew Research reports that 17 percent of all Americans over age 12 were listening to podcasts in January 2015, a two percent increase in just one year and nearly double the number in 2008. At the end of a long week filled with juggling work, Momhood, housework, and life in general, all I want to do is just relax. So, Friday night is our designated family movie night (if there's no soccer game, Boy Scout meeting, birthday party or something else going on.) To me, there's nothing more relaxing than making some popcorn and chilling with the kiddos while we watch whatever movie that they've picked out (also known as “Mom, it's the best movie ever”).